This article explains two potential problems that may be causing BACKTRACK to print labels with only default data and how to deal with the problem. 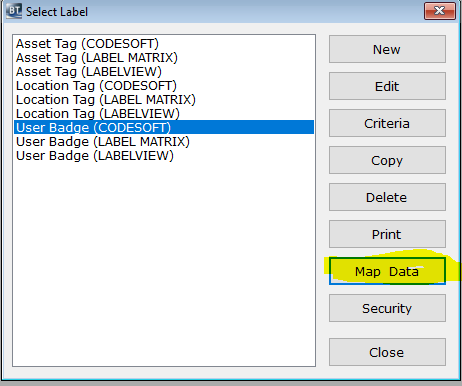 When printing a label through BACKTRACK, the label printing software (CODESOFT, LABELVIEW, LABEL MATRIX) only prints the data encoded in the label design as the default values. The labeling software is not successfully inserting the data from BACKTRACK into the label fields. 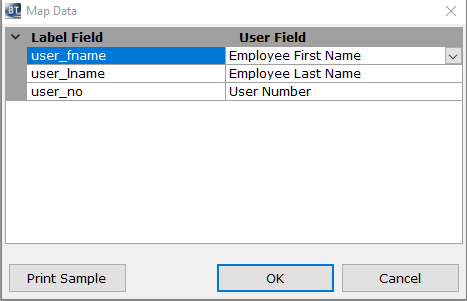 Check the label to make sure the fields are setup correctly and then make sure they are mapped correctly in BACKTRACK.